Looking for an individual perspex cutting? Then you are exactly at the right place, because individual counselling, warranty and service are our top priorities. Order your custom solution now! You can saw, drill, grind, mill, polish and glue acrylic glass/perspex. The material offered by us will be cut and shaped according to your individual wishes and specifications. With our panel saw we can cut horizontally and vertically. 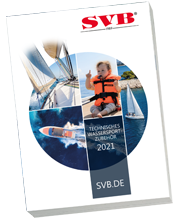 SVB offers cuttings of width 3050 x height 2050 mm and a max. board thickness of 12 mm. In Plexiglas® GS (cast acrylic) and Plexiglas® XT (extruded acrylic glass) there are two different products manufacturing processes. In the basic substance completely colourless, Plexiglas® GS is poured between two mirror glasses and has excellent surface finish with a light transmission of 92%. Plexiglas® XT has - in terms of optical quality to achieve - not always the high standard of Plexiglas® GS, but by less expensive manufacturing process economically an optimal solution. In the quality XT we deliver colourless Plexiglas®. In the quality GS we deliver coloured Plexiglas® in umbra. Makrolon® sheets are mainly used as protective glass due to their high impact strength. Because of the high elasticity, the material is especially suitable for the glazing of curved surfaces. In contrast to Plexiglas® the surface of Makrolon® is much softer and therefore much more prone to scratches. We deliver Makrolon® sheets in clear / clear. We offer a free cutting of the panels according to your idea. 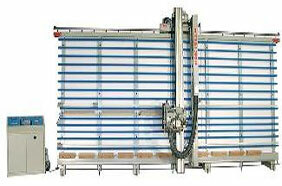 With our panel saw it is possible to perform horizontal or vertical cuttings. The purchase occurs only for whole plates or in the formats specified below. Please note that the cutting width is 3-4 mm. With our panel saw we can cut accurate. It is possible to cut the complete panel horizontal or vertical. Besides Perspex cuttings we offer customized plywood cuttings. » Further information about plywood cuttings you will find here. Plywood and Plexiglas are perfect for many different areas of application. 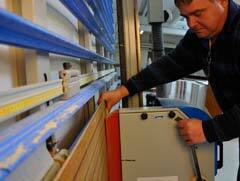 Our experts are sawing your individual panels according to your wishes. Do you have any particular needs or visions? Give us a call, we are happy to help you!